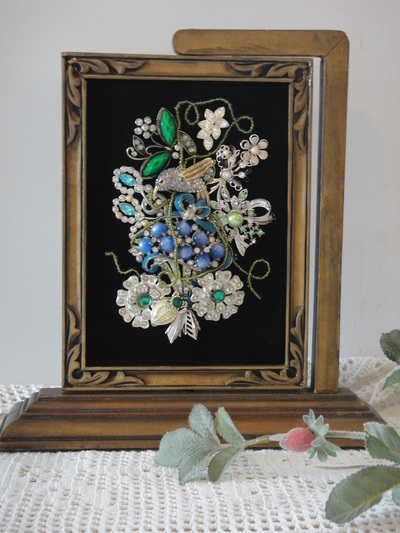 My Vintage Renewed jewelry art is uniquely crafted using many pieces of vintage jewelry. 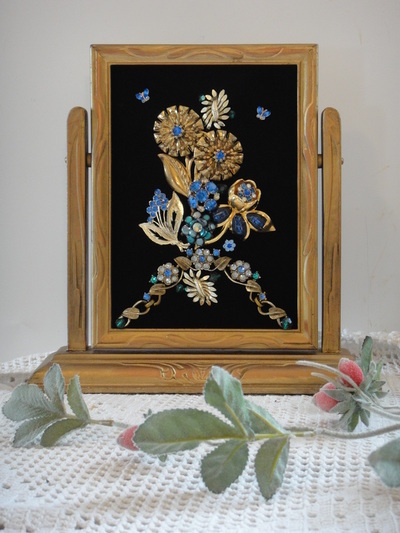 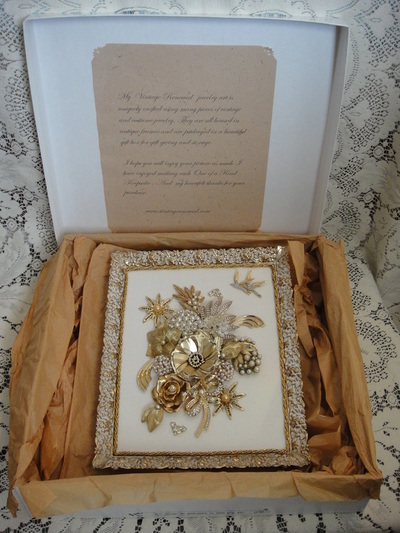 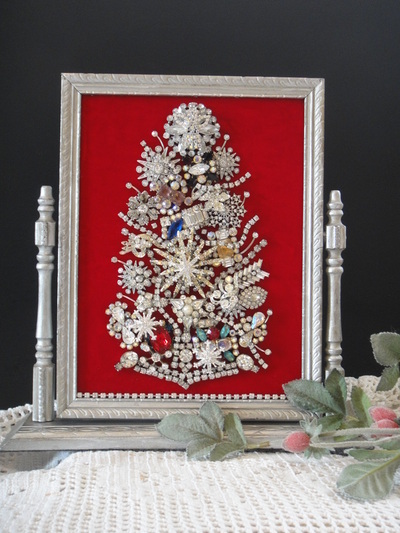 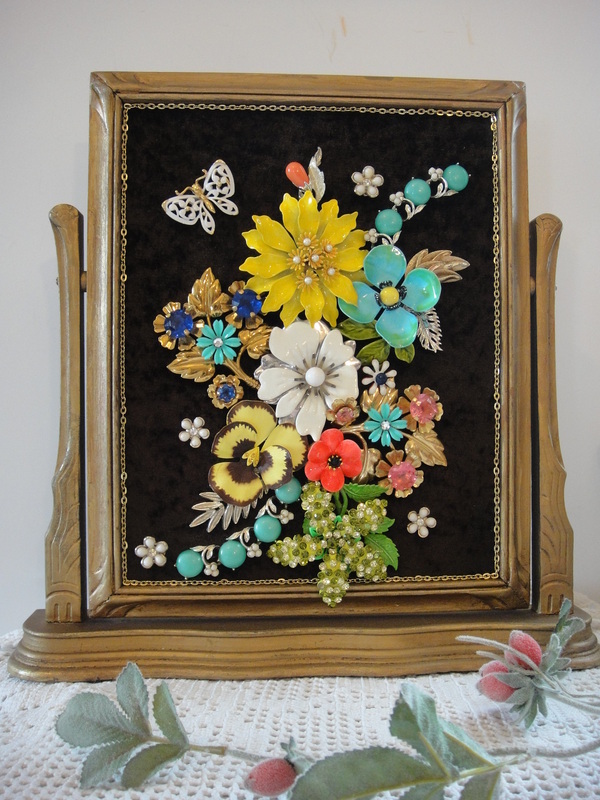 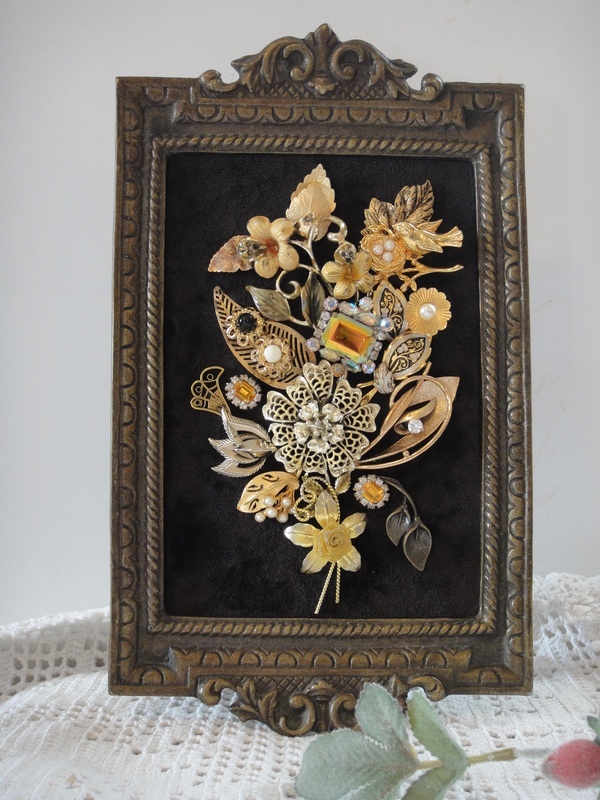 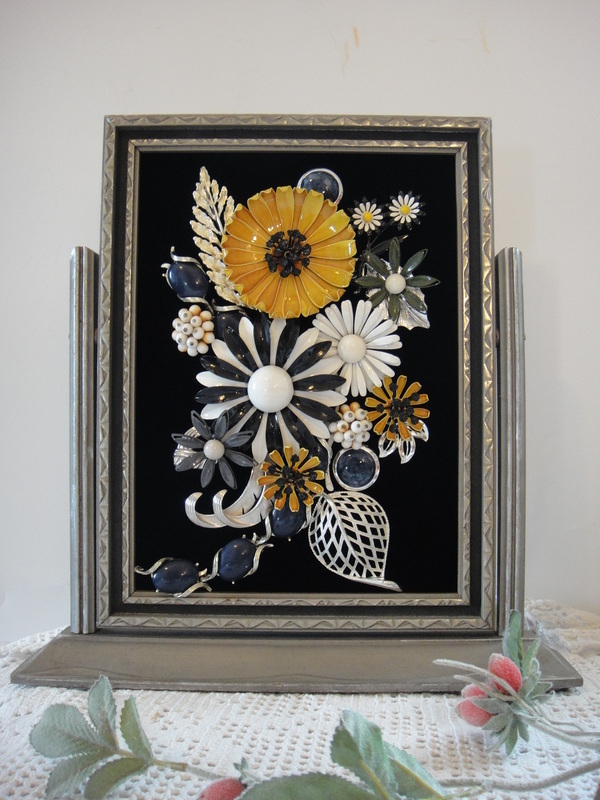 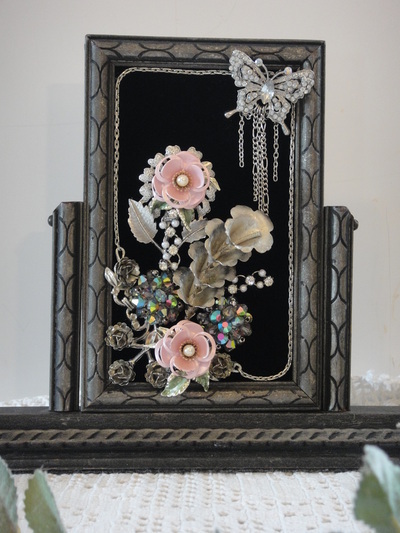 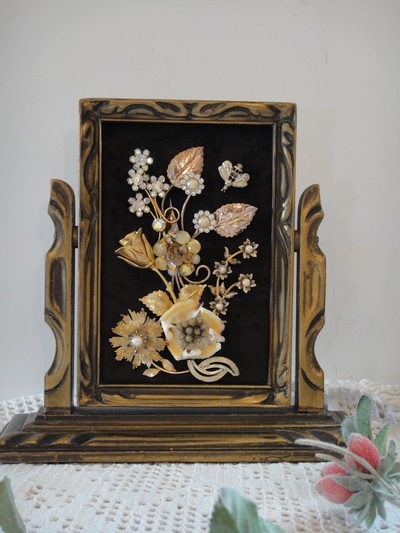 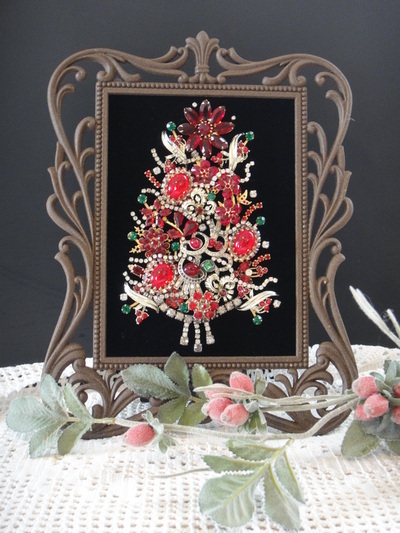 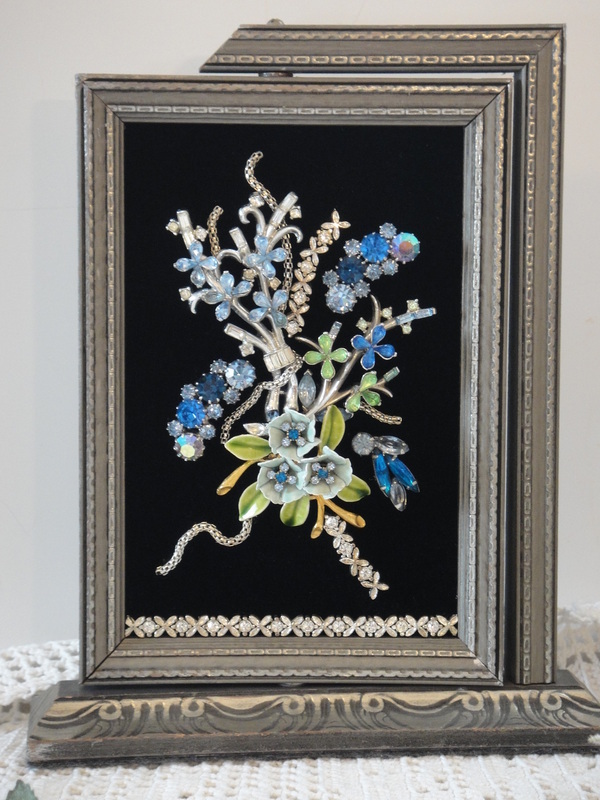 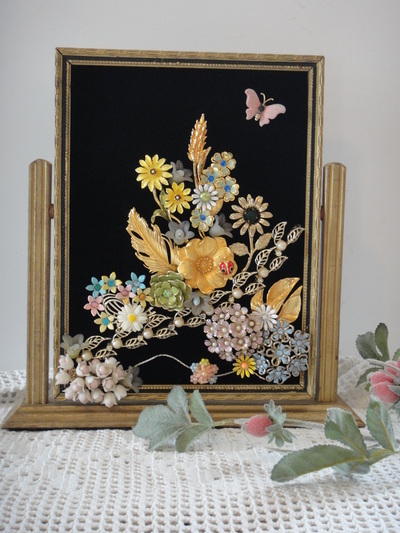 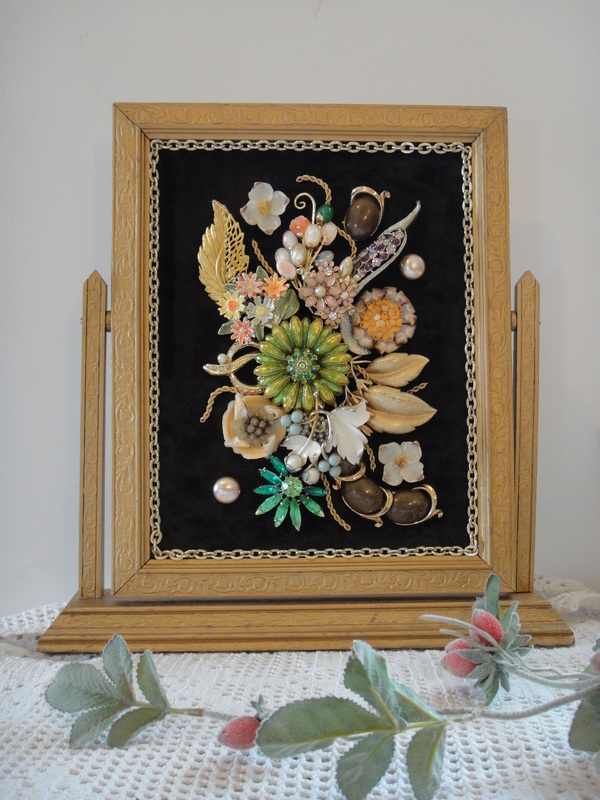 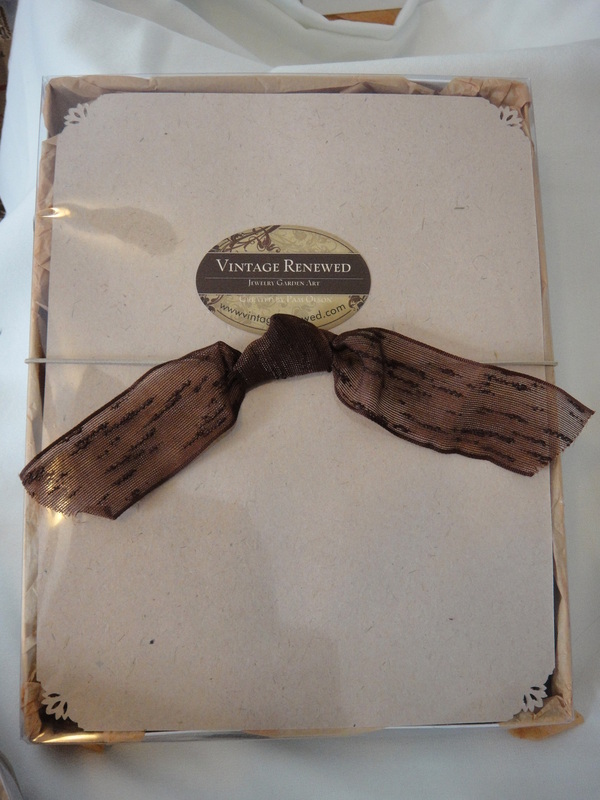 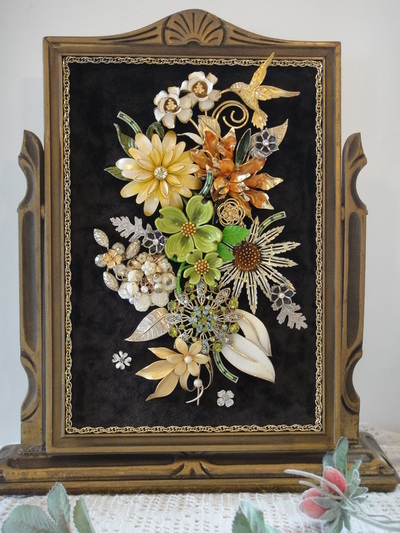 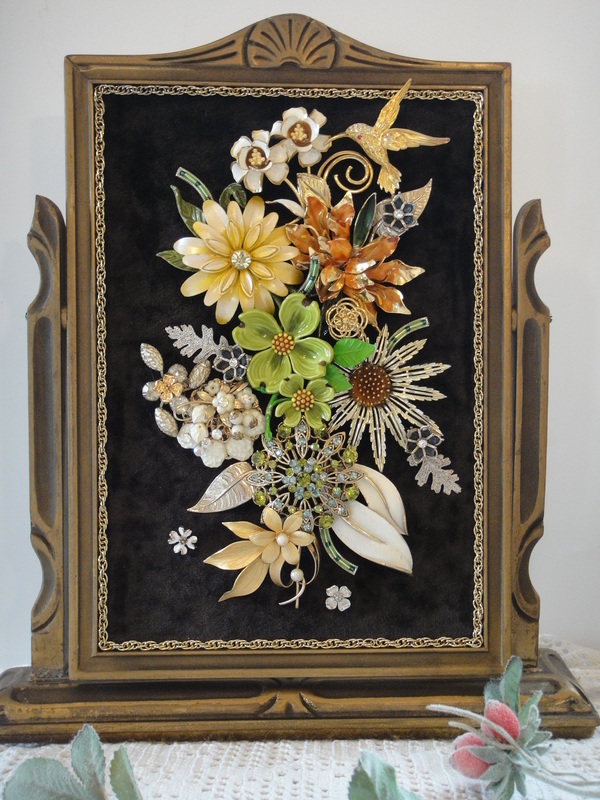 They are housed in antique frames and come in a beautiful gift box for gift giving and storage. 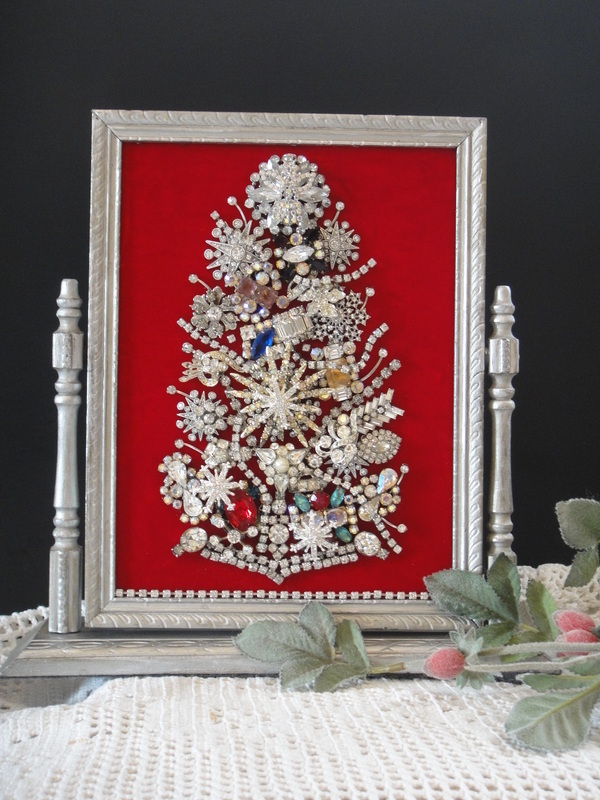 Holiday Trees are the perfect addition to any holiday decor and can be displayed and enjoyed all year long. 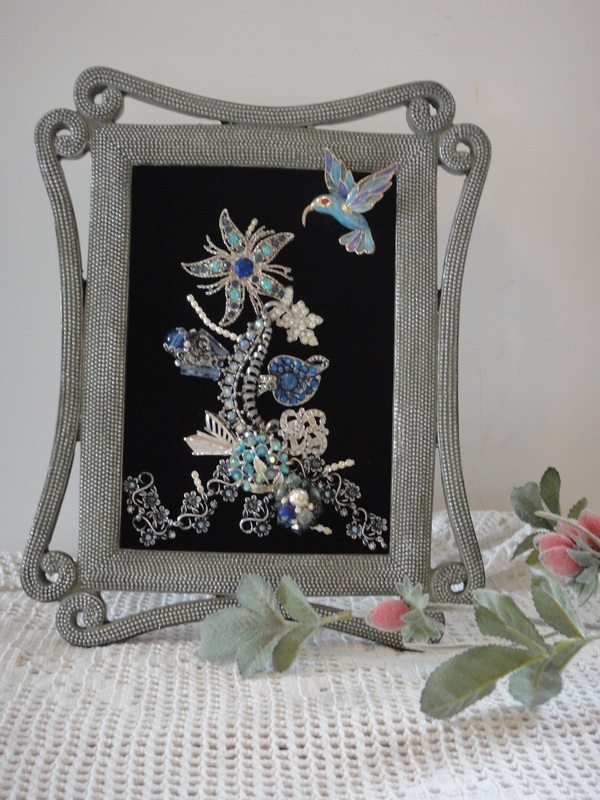 My Garden Art captures the beauty of nature and adds a touch of spring and summer to your home throughout any season.